From left to right, according to picture. The innovative design of glass nail files provides many benefits that are attractive to women. One of the primary advantages of glass nail files is the fact that the glass is permanently etched. Therefore, glass nail files rarely become worn down. 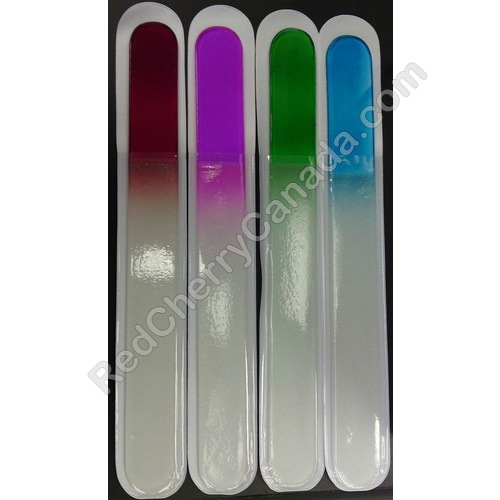 Glass nail files help reduce the amount of chipping, splitting, and peeling when used on a regular basis. Glass nail files are also easy to clean.